As a Swedish Generation Xer, I was brought up in the spirit that men and women were created equal, and that gender differences were a social construct that was out of fashion. In Senior High, my technology teacher warned us girls that we should be prepared for difficult times as female engineers; I judged him as an oldie who was hopelessly after his time. At technical university, I calculated that across specializations, 25% of the students were women. In my mind, this would translate to a work environment of 25% of women. Not bad at all. And by the unstoppable force of development, that number would naturally increase until there was an approximate gender balance in my field. Once out of university, I quickly realized this was by no means the case. I hadn’t paid attention to the fact that a slow trickle of young people into existing hierarchies makes any changes slow as molasses, and that those in power were Baby Boomers with a whole different frame of reference when it came to gender roles. As a female engineer, I was the definite odd one. As an opinionated female engineer, I stuck out like a sore thumb. Fast forward to 2018: I have learned that progress is even slower than I thought. Female enrollment in computer science is still only around 5%. In technical universities, the total number is closer to 30%, but the overall female enrollment declined last year. And among those who graduate, as much as 50% are likely to leave the profession. This is at a time when the industry is screaming for skilled people, and the future for a developer is brighter than ever. Why do women pass at this opportunity? After 20 years in IT, I have concluded there are no objective reasons for those numbers. I have not yet seen a challenge that was too great because of the fact that I was a woman. On the contrary, I see ample opportunities to grow at a pace that is the right for me, and into areas that I find interesting. When I heard of Pink Programming I got curious. They are an organisation with the mission to create an inspiring environment for all women regardless of age and background. 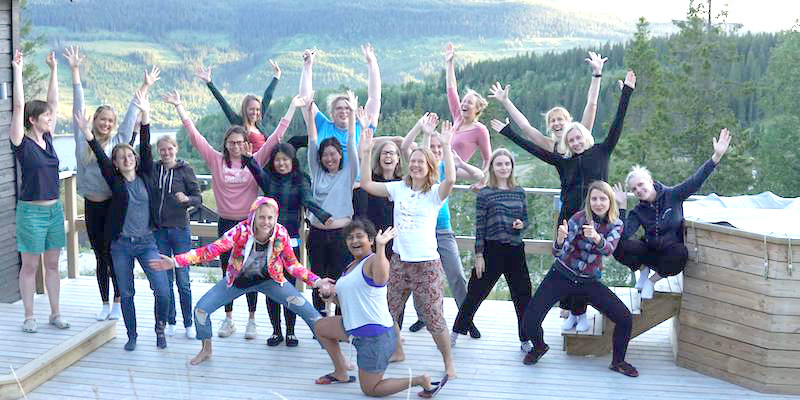 They promote female role models, create a network for like-minded women and generate curiosity while sharing the joy of programming and helping women to take the first step. They do it in the form of coding camps and programming Sundays with exclusively female instructors and attendees. It took me some time to get beyond the questions, “Whatever would be the reason of hanging out with only women?” and “There are so many nice men; why exclude them?” I bet there is a ton of research about being in a minority situation I ought to have read in order to understand the dynamics I have experienced, but I haven’t yet. However, the feeling of joy and calm confidence when I first experienced a room full of women with a shared interest of programming is a fact. First: Expanding our company networks into networks that have women in them will help us hire more female engineers. Think about it: How can anybody expect to find women to hire if they are only looking in places where there aren’t any? Second: Spread the knowledge of Neo4j the company, that it’s the most awesome place I’ve ever worked at, and of Neo4j the product, that we all feel is a piece of engineering art that will change the future of data analysis. Third: Help encourage women to pursue an IT education, stay in the program, and eventually stay in the profession. Some may think this is far-fetched. But hey, if we get a woman to choose an engineering education today, she will be ready and eager to start work in five years. Long time? Perhaps for somebody more short-sighted, but not for us. We are building a stable, long-lasting company that is a good citizen in whatever societies we’re a part of. The sponsorship was a fact. We hosted our first Pink Programming Sunday in May, and participated as trainers in the first ever Pink Programming Data Science Camp this summer. 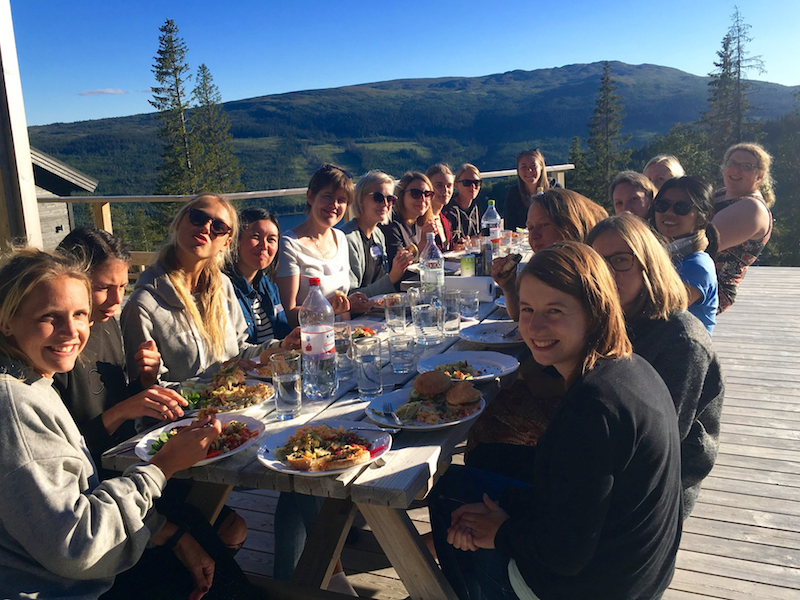 Twenty women gathered for five days in a cabin in the Swedish mountains. 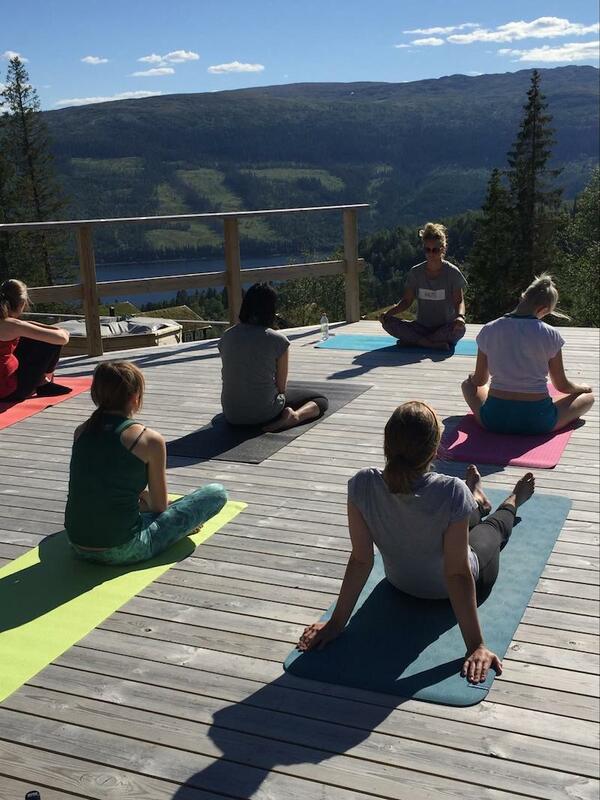 There was hiking, yoga, running and tabata. 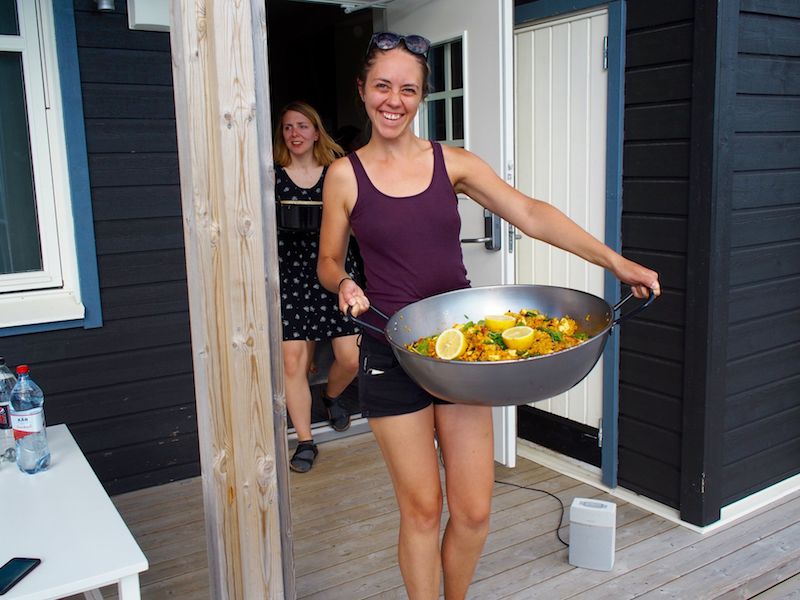 There was crazy swimming in the ice cold lake, Bollywood dancing, delicious vegan meals cooked together and conversations about everything and anything. Connections were created and friends were made. And there was data science! During five workshops, participants learned about relational databases and SQL, about graph databases in general, and about Neo4j and Cypher in particular, in addition to DNA analysis, search engines and statistical models on music data. From the very first moments, women of all ages, backgrounds and nationalities formed a warm and inclusive group. I found myself an instant trusted member of the leadership team. No positioning or pecking orders; all support and encouragement. As for female role models: There is now a big fat checkmark in that column. 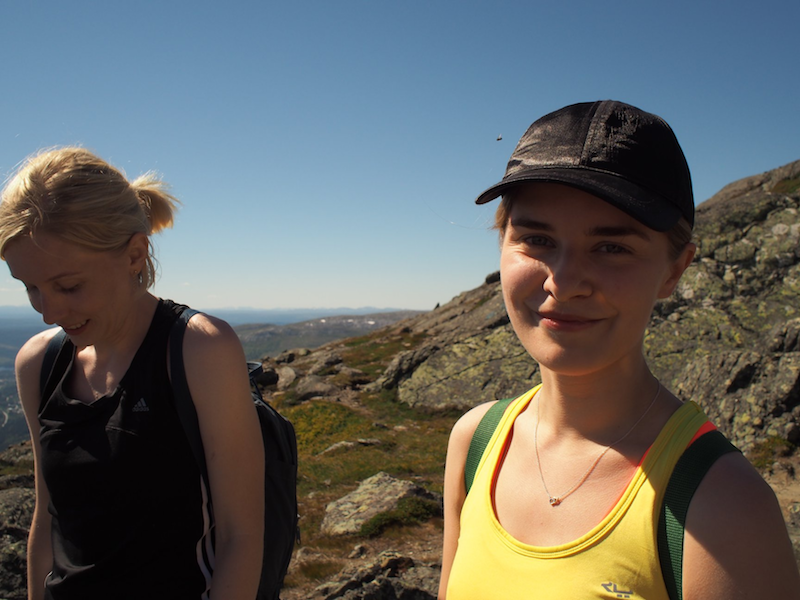 When asked, participants reported that they enjoyed just hanging out with like-minded women in an easy-going and friendly atmosphere in the beautiful Swedish mountains. Some attested to feeling a little unsure about signing up for a week with people they didn’t know beforehand, but that they were happy they did. Several said they had gained insight and an increased self-confidence in programming and data science. All said they wanted to continue exploring/pursuing this field. Next year, Neo4j will be the main sponsor of a Pink Programming camp. I can’t wait. Grab yourself a free copy of the Graph Databases for Beginners ebook and get an easy-to-understand guide to the basics of graph database technology – no previous background required. Maria is part of Neo4j’s Engineering team based in Malmö. She holds an MSc in Engineering from Lund University, and has an extensive technical background as a developer, Oracle DBA and IT project manager. Her passion lies with communication and beautiful language. She gets a kick out of explaining complicated things in a simple way, which is the perfect match for making Neo4j accessible for all sorts of audiences. Maria is married and has two kids. In her free time, she enjoys long-distance running and yoga, reading, and spending time with her family.